Traditional coaching classes have been the default choice for students, including medical aspirants, for the preparation of entrance exams. But now with the rise of digital classrooms, NEET online coaching is getting popular among the aspirants. Let’s see some of the key benefits of NEET online coaching (live online classes, not just recorded lectures) which provides more value to medical aspirants. Sometimes students get tired after attending the school. Going straight to coaching after school results in exhaustion for many students. In online coaching, the classes are generally conducted in the evening time, gives enough time to students for rest and allow them to be mentally prepared for the class. In traditional coaching, students go to a coaching institute, which involves travelling time. Online classes saves this time and deliver quality teaching at the comfort of your home. You just require a computer or laptop with internet connection. In digital classrooms, only the mode of the learning has changed, rest of the things like quality of teaching, study resources, batch calendar, test papers, etc. all are same like traditional coaching classes. In some cases, where experienced NEET teachers are teaching in online mode to aspirants, online classes provides even better quality than local coaching institutes. In physical coaching classes, either due to health issue or any other reason, you may miss a class some day. 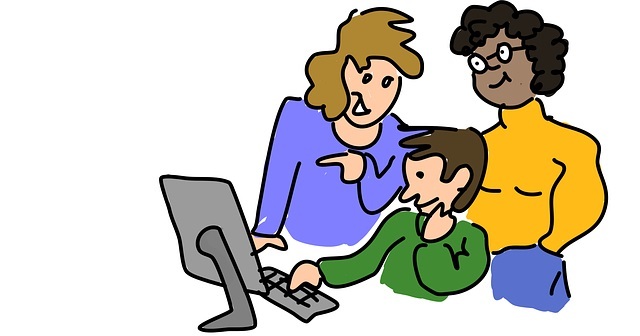 But in online coaching, the classes are recorded for future reference, so if you are absent in any class, you can watch the same class later at any time. In a batch of 150-200 students (in a large coaching institute), teachers are unable to focus on an individual student. One-to-one interaction is rarely possible. Due to this, students most often miss out on clearing doubts. Whereas in NEET online classes, the batches are short (20-25 students maximum), which allows a student to ask the doubts more easily and freely. Shifting to some other place is not convenient for aspirants. Not just in study and preparation, but also adjusting to the place, food, peers, etc. In a city like Kota, there is always a fear of additional pressure which often leads to depression among the students. With NEET online coaching, aspirants can study from experienced and qualified teachers at their home only. 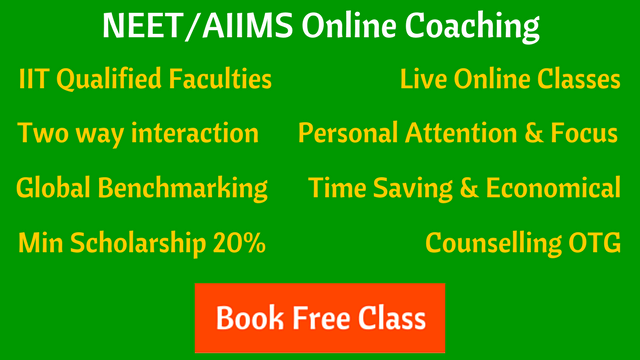 Want to try out NEET online coaching to know how the online platform works? Register for a free online demo class now.